“Oh, a friend recommended it to me.” I replied simply. “No one you would know, I’m afraid.” I replied again, simply. I wasn’t trying to be rude, but I generally need time and space to enjoy the food and take in the myriad of flavours when I’m eating in restaurants. Often, I get ice breaker questions which I’m uncomfortable with because I’m afraid the owner might know I’m up to something – a review. When I do silent reviews, I expect the service and food to be an unbiased as possible because it is only fair to my readers that they get the same experience – good or bad. “Oh, it’s a Malaysian thing and I like putting them up on Facebook so my friends can see.” I wasn’t really lying, but I wasn’t entirely honest either. Only because I don’t like being probed about taking food pictures. 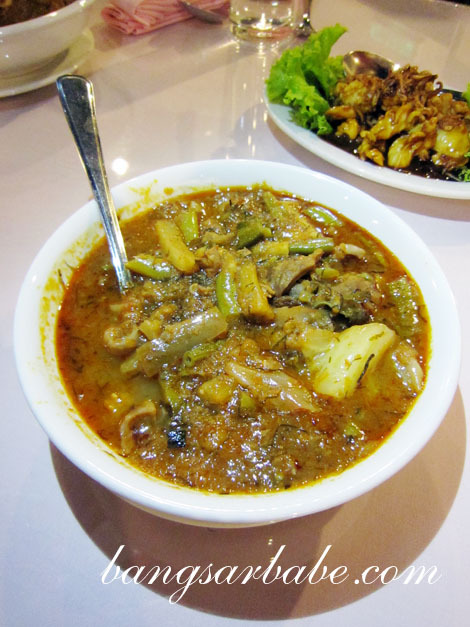 Sri Nyonya has been in business for almost 30 years, having moved several times and settling for its current location in Jalan 22/49 for the past 7 years. I took my in-laws with me because they too, love eating Nyonya food. They have gotten used to my habit of taking food photos and the mother in-law even arranges the dishes nicely just so I can get a good angle. I was there mainly for the perut ikan (RM15), a Nyonya specialty which comprise vegetables, herbs and fermented fish stomach in a gravy of sweet, savoury, sour and spicy delight. A tedious dish to prepare, but if done well, the flavour is complex, deep, pungent and utterly delicious – like Sri Nyonya’s version. But an acquired taste for some as my father in-law says it is “fermented fish gone bad”. 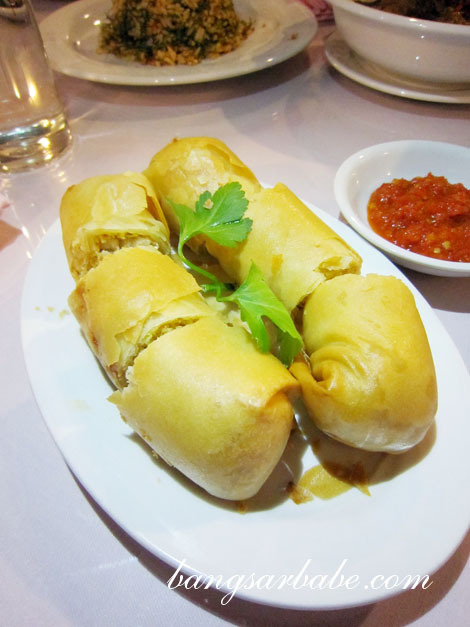 The choon piah (RM9 for two rolls) was akin to our deep fried popiah, but with a tastier filing. 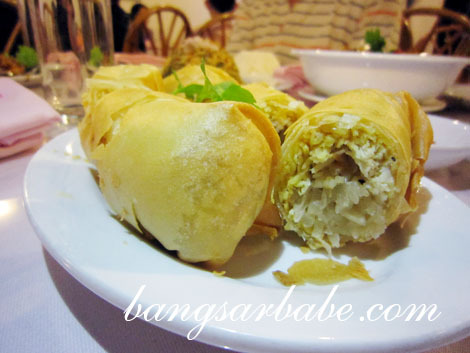 Sri Nyonya’s version contained shredded sengkuang and cabbage with chicken and was deep fried till golden brown. This harmony of flavours and textures was given more ‘oomph’ with the homemade chilli sauce provided. 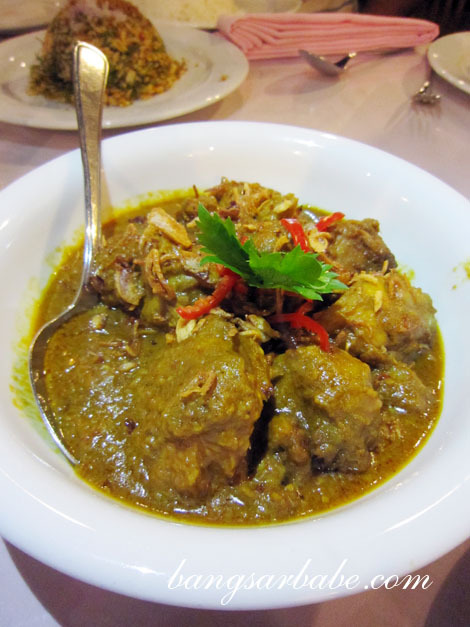 We were recommended the chicken rendang (RM20 – large) – thick, richly spiced and begging for more white rice. However, the chicken was cooked too long, causing the meat to be too soft and ‘break-y’. Not something I would recommend. The asam sotong (RM17) was worth a mention. 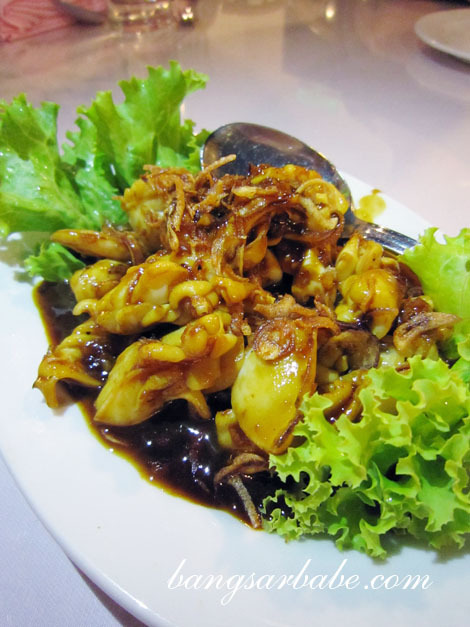 Tender squid slices cooked in tangy-rich gravy, I was told by my father in-law, this dish reminded him of his late mother’s cooking. 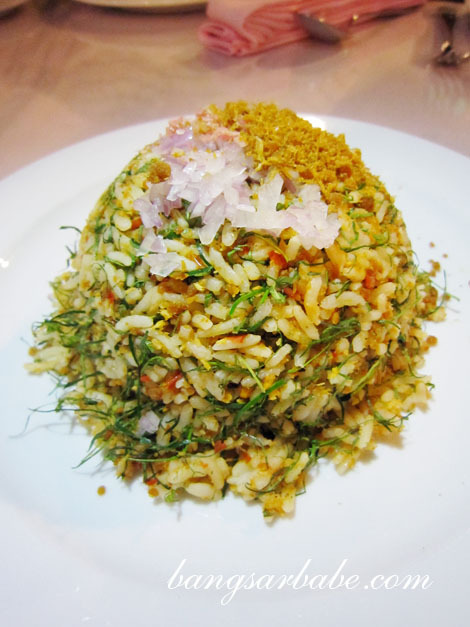 The nasi ulam (RM7.50) was a vibrant composition of herbs like daun kadok, daun keson, daun cekur, lemongrass and turmeric. Flavours were nicely balanced and the rice boasted a heady aroma from the herbs and belacan; good enough to eat on its own. We also ordered the special beef kuay teow (RM20) prepared by the owner himself. This was not a Nyonya dish, but I enjoyed it. The beef slices had a tender bite and the kuay teow was evenly seasoned with a good wok hei. Cili padi was used in the cooking process, kicking up the spice level a few notches. I wouldn’t mind eating this again. Coffee with Nyonya food? Sure works! 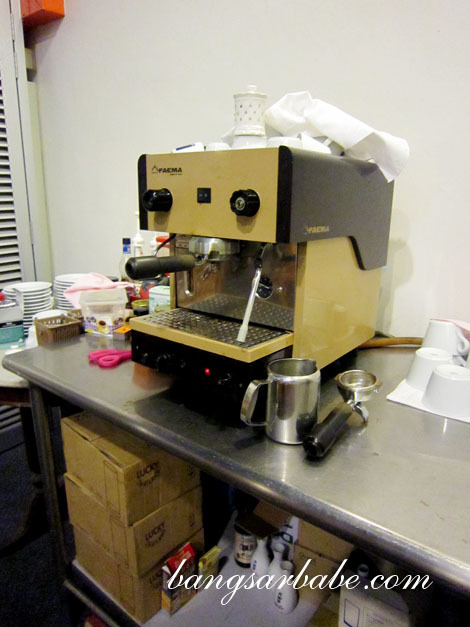 I couldn’t help but notice the coffee machine and equipments at the left corner of the restaurant. 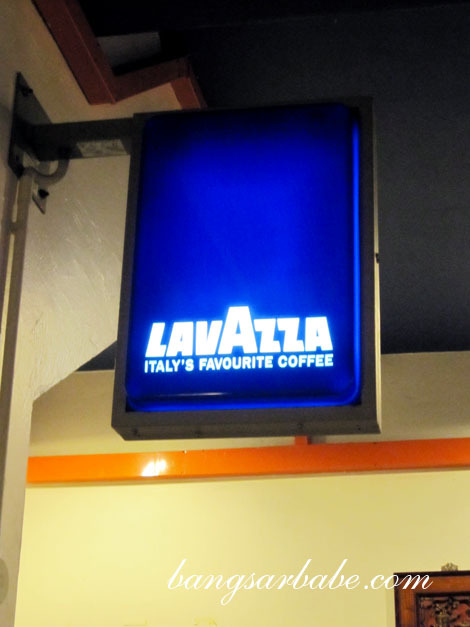 The smell of freshly ground coffee was so inviting, I had to order a cup. I got a cup of very strong cappuccino and it was the best cappuccino I’ve had. 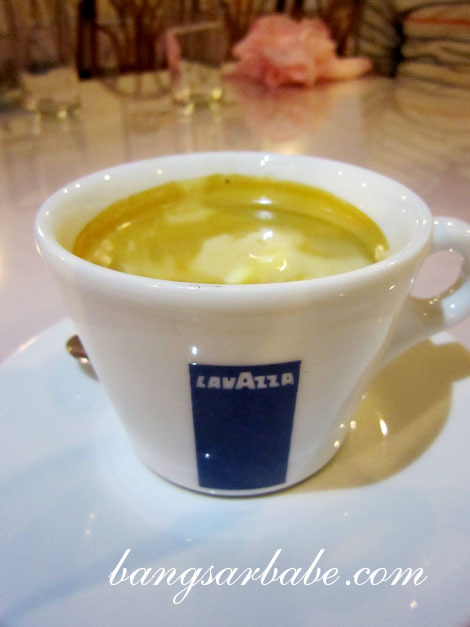 Everything was perfect – good crema, rich body, right temperature, bold, bitter and smooth, all in a sip. this warrants for another visit soon. “On the house.” He pointed to my coffee and winked. Verdict: Pretty good Penang Nyonya food. Remember to finish with coffee. 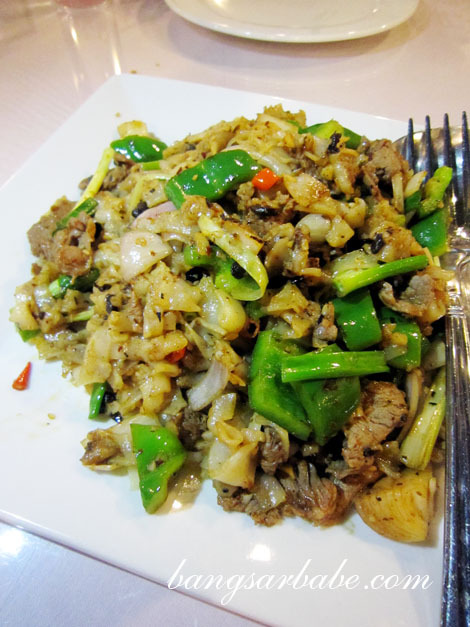 the beef keow teow looks special ..
they put capsicum in it.. I would love to have the chicken rendang with nasi ulam. You’ve gotta forgive that old man, u know how old and nosy comes hand in hand, i have a few good examples at home haha. To relate Choon Piah to deep fried popiah degrades it. In Penang, fried popiah is a street food sold my the Nyonya Kueh vendor whilst Choon Piah is only served in restaurants.